A computer generated image of visualized variables from a star simulation dataset generated with Anelastic Spherical Harmonic code on the Ranger supercomputer at the Texas Advanced Computing Center at the University of Texas at Austin. 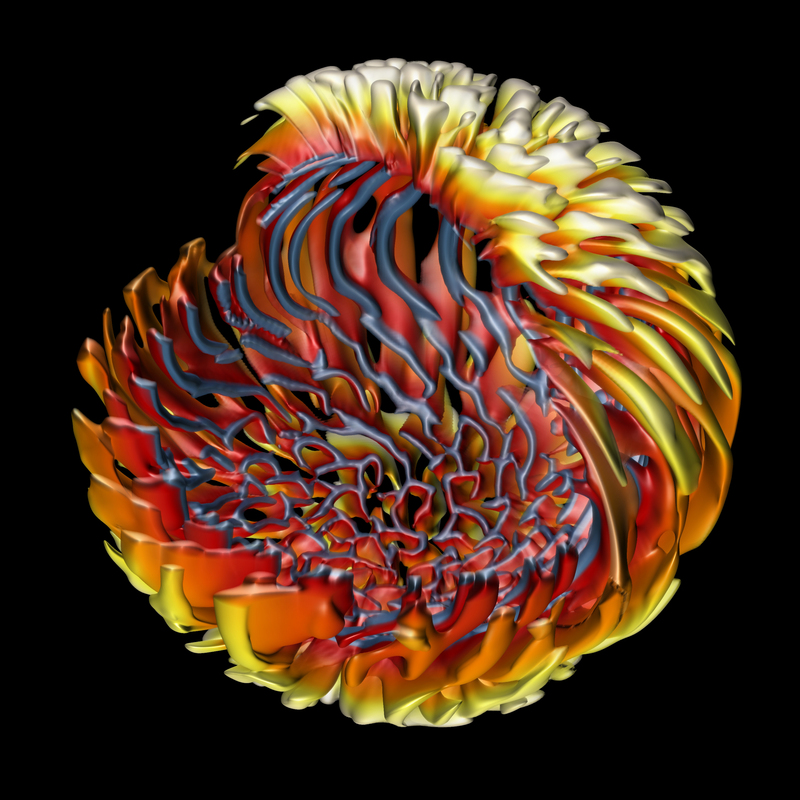 This simulated star is similar to our sun in mass and composition but spinning five times faster. Stars like the sun harbor vigorous regions of intense turbulence below their seemingly calm surfaces. 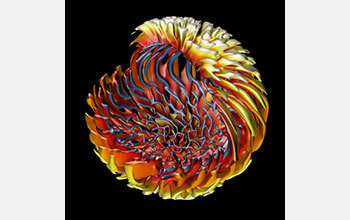 The turbulent motions are known as convection and they arise from the searing heat produced deep in the stellar core. Stars also spin, and the younger they are the faster they spin. These spinning and churning motions convert kinetic energy into magnetic energy, which powers the rich display of stellar activity and variability that are observed. The key to unlocking the dynamics of stellar interiors is something called the Reynolds stress. This describes how motions inside stars redistribute momentum and is therefore responsible for the differential rotation (fast equator, slow poles). This in turn has close links to the history of astronomy as a human endeavor and to the latest and greatest NASA missions today.